Feeling fat? Blame it on your gut—and by that we mean the bacteria that live inside it! Jeffrey Gordon, from Washington University in Missouri, analyzed the belly flora of twelve obese people. He found they all had increased amounts of a class of microscopic beastie called the Firmicutes. About fifty percent more than leaner folk do! Moreover, as participants lost weight, they also shed Firmicutes. Taking this correlation with the proverbial grain of salt, Gordon decided to perform two more experiments . . . on mice. He found that microbes from obese mice were far more efficient at harvesting calories from food than those of lean, mean littermates. 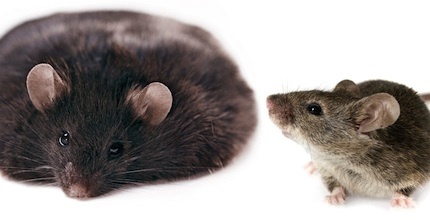 When Gordon transplanted obese mice’s gut bugs into microbe-free—and skinnier— mice, the latter gained weight. Scientists agree that both cheeseburgers and genetics play a very large role in obesity. But these findings suggest that, at least part of it may well be someone else’s fault. “Gut bacteria”: Here’s a hanky. It could make for a very special Richard Simmons episode!